Amsterdam has always been one of my favourite cities. Matt and I visited a few years ago and had such an amazing time there—something about it reminded us of Vancouver a little bit, actually, but a far more European, cool version of it. Being someone who bikes to commute as it is, I felt right at home getting around there and instantly fell for the casual yet very stylish vibe of the city. My older sister moved there from London a couple years ago so last spring (yes, last spring—this post is so delayed!) I went and visited her for a week or so. We started off with a couple days in Amsterdam (check out my guide here), took off for Prague for a bit (see the whole vlog for the trip here, along with a guide to Cesky Krumlov in the Czech Republic which is the most gorgeous little village you must visit) and then it was back to Amsterdam, where I mostly wandered around alone during the day since she was back at work. 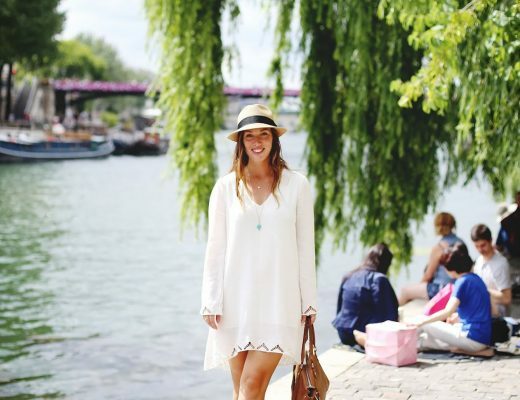 A quick note about traveling alone: I love it! For someone who’s quite extraverted and likes to chat a lot, that might be surprising—or maybe it isn’t! Maybe the reason I love it so much is that I like making new friends and chatting up new people. It’s honestly one of my favourite things to do and I especially love the added challenge of a language barrier—it gives me the warm & fuzzies to still connect with someone, even if we’re not able to speak the same language very well. Part of the reason I love to travel so much. 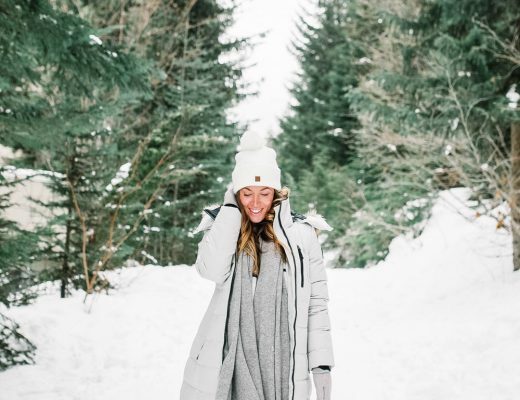 I traveled alone for months and it really instilled this deep love of solo travel for me (I have tips on how to do solo travel as a woman here, along with tips on getting the shot [a must, obvs!] when you’re travelling alone too!). While I was there to visit my sister, I was very happy to have a couple days to explore a city I already knew well enough more thoroughly on my own. 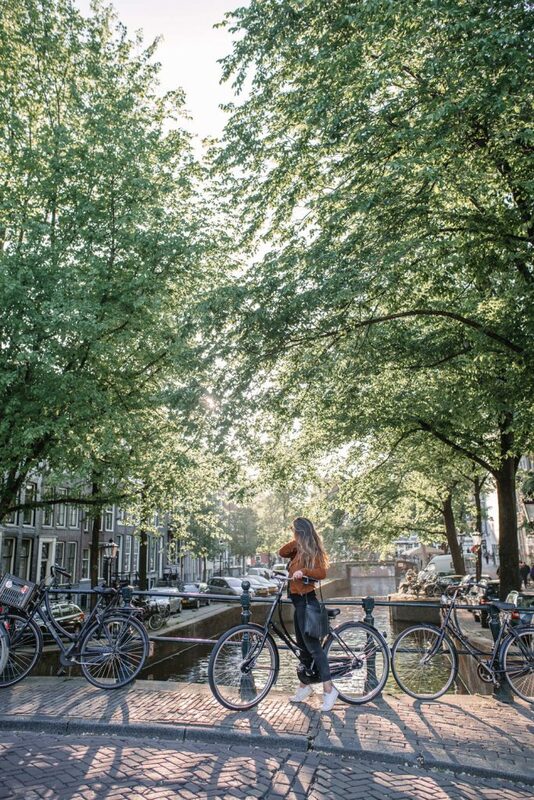 On my last day there, I figured since I love nothing more than to bike aimlessly around, I might as well go off in search of the city’s most beautiful canals! 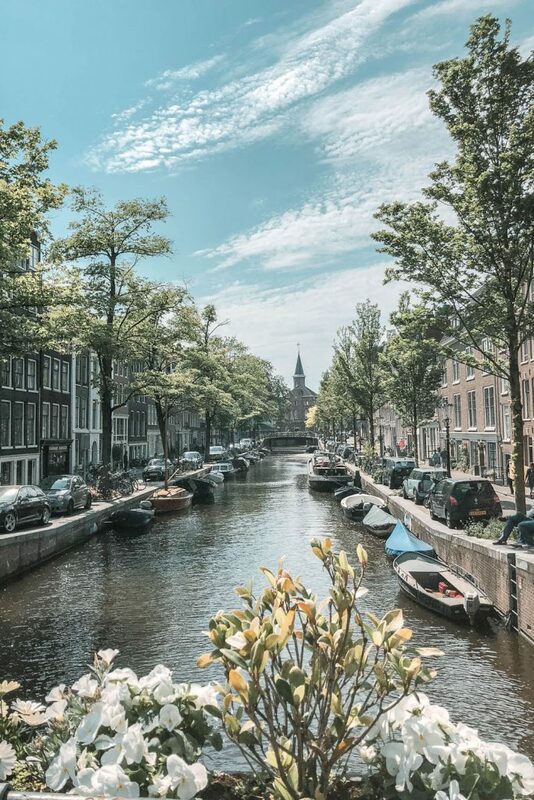 I ended up having the most wonderful day, discovering new parts of town I hadn’t spent as much time in, new places to grab a Dutch treat or two and of course, the end result of this whole mission: finding the most beautiful canals (IMO) in the city! I hearted each location as I went on Google Maps (a handy feature PS—if you end up loving a place, just tap your current location or a local landmark and add a heart to save it, which helps you remember it if you want to return or if you want to recommend it down the road!). 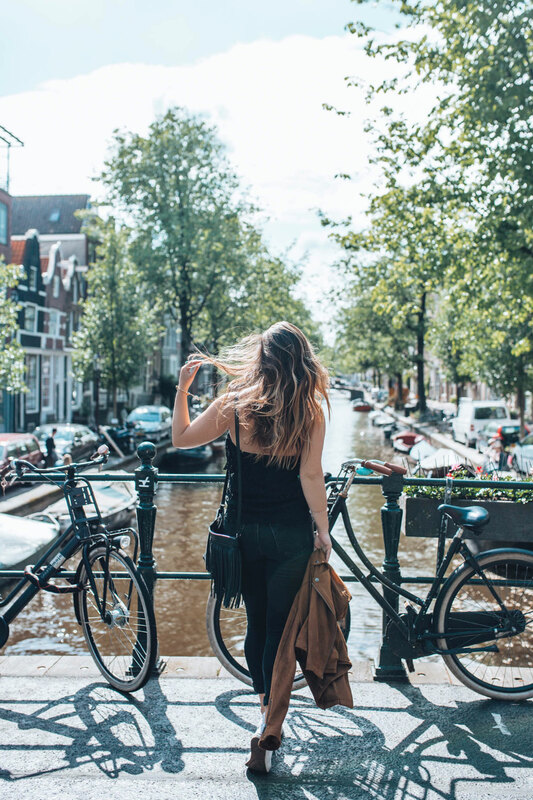 Since I had all my canals saved, I also included a little map at the very bottom of this post so that the next time you’re in Amsterdam, you can literally just pull it up and follow along! Oh, and because I’m a huge nerd, of course there are some facts on canals at the bottom—God I love history! Bloemgracht literally translates to “flower canal” (canal is “gracht” PS, why it’s at the end of all these names!) so if you’re lucky enough to visit in the spring or summer, the canal will be resplendent with gorgeous flowers in boxes along the bridges over the canal and adorning the gabled houses here too. It’s located right in Joordan (one of my fave parts of the city) and has a really interesting history, particularly since it was created in the early half of the 17th century! 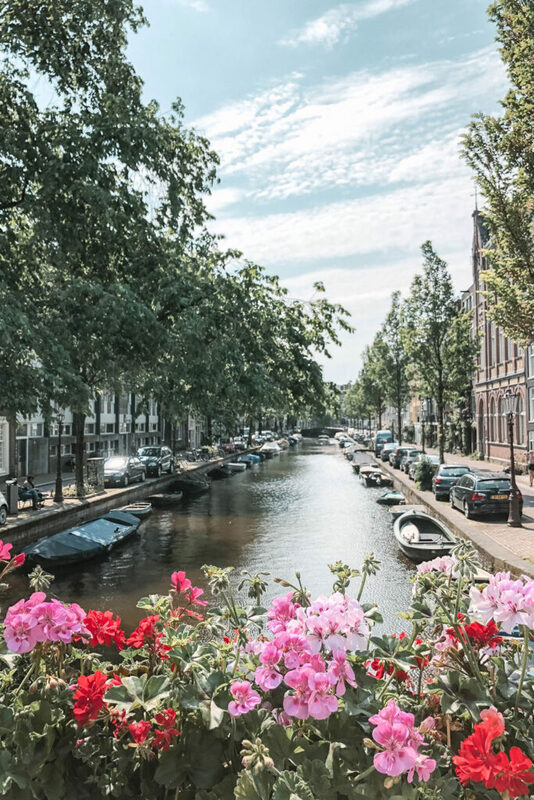 It was home to a lot of sugar and paint factories historically, and at its end connects to Prinsengracht, one of the main canals of the city and the home to Anne Frank’s house. Another gorgeous canal in Joordan (seriously one of the most picturesque parts of the city), Egelantiersgracht may be a mouthful but it’s actually home to some of the more small-scale yet extremely lovely architecture in the city. Being built primarily for artisans, there’s a very elegant and beautiful feel to the canal—it’s now primarily residential, so it’s also very quiet. Near the centre of town you’ll find this gorgeous cross-canal—to me, Leidsegracht is one of the best canals for seeing those very typical Amsterdam canal houses all in a row, with a particularly perfect view of a few of them without being obscured by trees (though you’ll be lucky if you can get it without cars!). 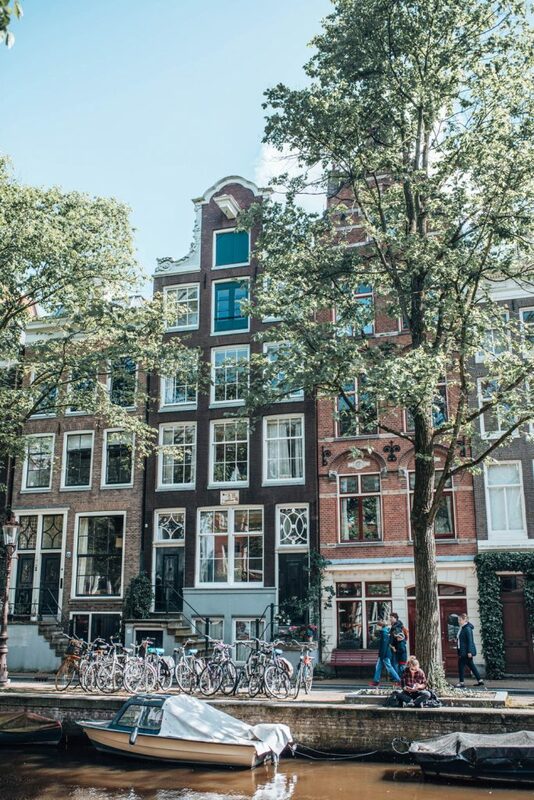 Herengracht has one of the most gorgeous bridges in the whole city, particularly when it’s all lit up! 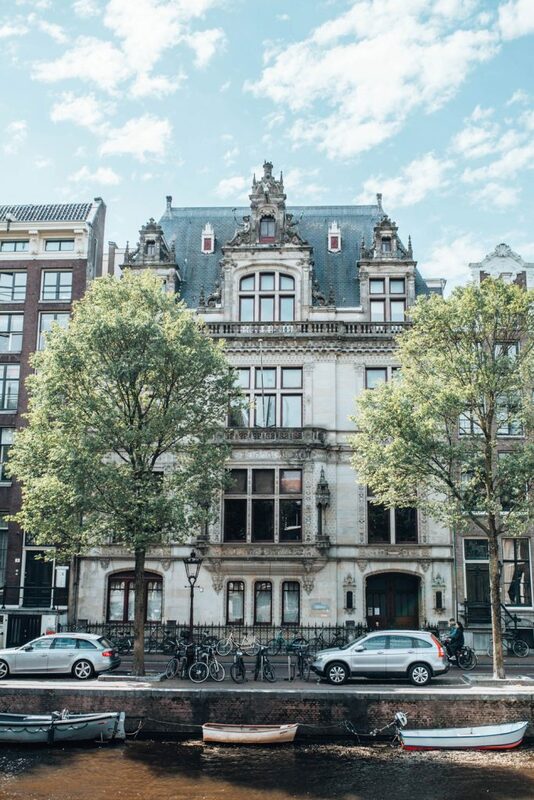 Herengracht historically is one of the most prestigious canals to live on in the city, and that still rings true today. It’s the second of the four main canals that connect the whole city (seriously, looking at the map gives you so much appreciate and admiration for the planning that went into creating these canals!). Similarly to Herengracht, this canal has gorgeous bridges and they do such a good job with adding lights to the archways so that the bridges are reflected in the water in the evening! If you take a canal boat (which you should) you can get a clear shot from below all seven bridges on the canal. One of my absolute faves. It is teeny tiny but has one of the best views in the whole city—make sure you have a camera here because as you look down the canal, the gorgeous Rijksmuseum overlooks it! This canal is a UNESCO World Heritage Site (so you know it’s gotta be good). Another canal with a fantastic monument at the end of it, the tiiiiiny Groenburgwal (which I might be wrong about but I think roughly translates to “green shore,” I guess its size precludes it from being a canal?) has the beautiful Zuiderkerk church at the end of it. It’s tiny but a must-visit! Zuiderkerk was once painted by Monet because it’s so beautiful and it was created way back in 1611 so you need to visit it as well. 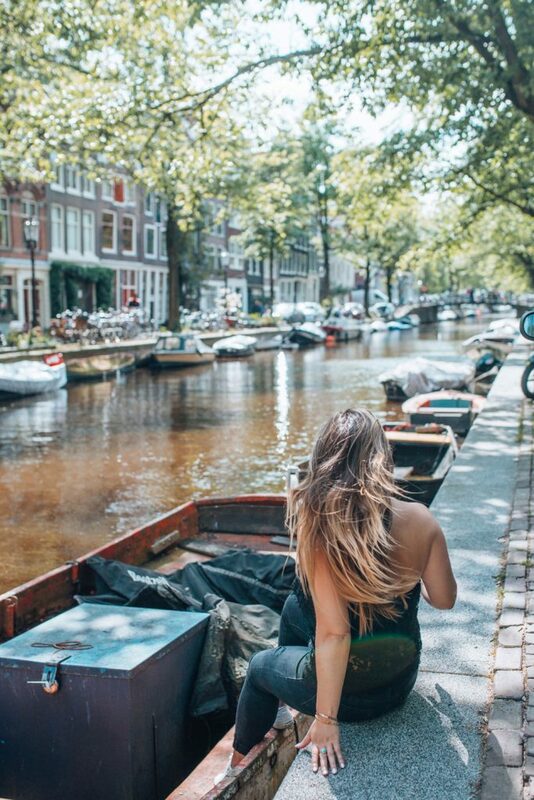 Amsterdam has 165 canals! Crazy to think of the planning that went into making sure they all formed this perfect system. Amsterdam’s houses are tilted because the soil they’re built on is so damp—it’s truly a water-logged city! There are about 3,000 houseboats in Amsterdam, some that are literally the size of a proper house! 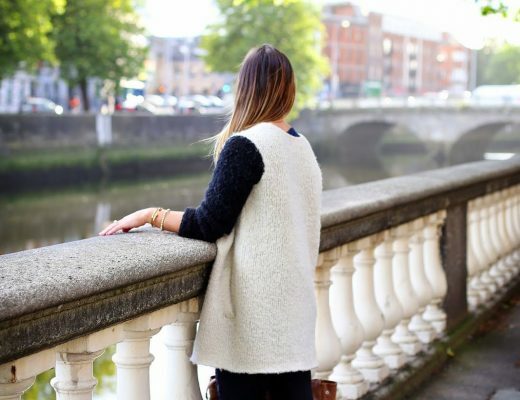 If you have the canal space, you might as well take advantage of it. And of course, some are restaurants, bars, etc as well! While you might think of Venice when it comes to canals and bridges, Amsterdam actually far outnumbers Venice with its bridges, coming up to about 1,300 bridges total! 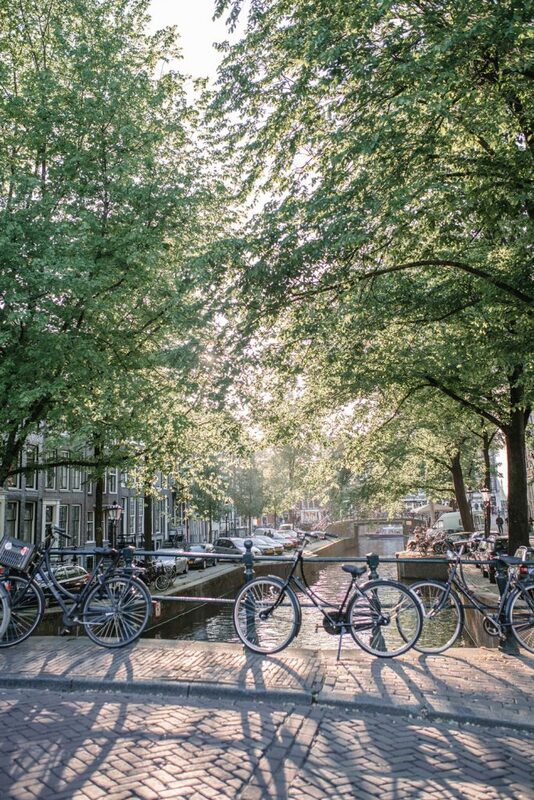 25,000 bikes wind up in the canals every year—on our first visit there, Matt and I were told it’s become something of a drunken game to toss them in at night. That’s why you don’t get a flashy bike there—it’s all about function, not style! You don’t want to make your bike a target. And now finally, the map! You can easily refer to this on your next trip and bike around to each canal. I can’t stress enough how important it is to bike the city if you can bike ride—even if you’re not the most confident rider, just try it for at least one day! It’s really the way to see the city, and Amsterdam’s not that big so you can cover it easily this way! 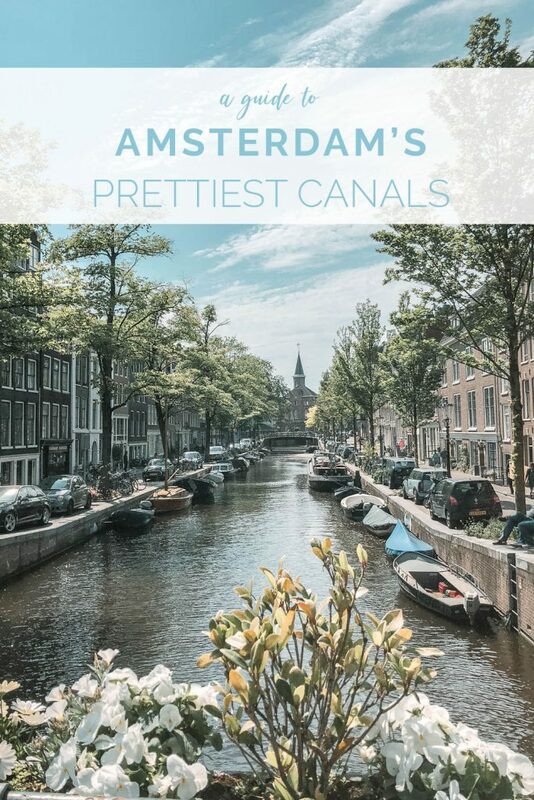 Also, would really suggest doing a canal ride at some point—make sure you stop by this guide to see more suggestions! Feel free to pin this snap below for future reference! OMG these are on my list for sure! Yes!!! Let me know if you ever go check them out!